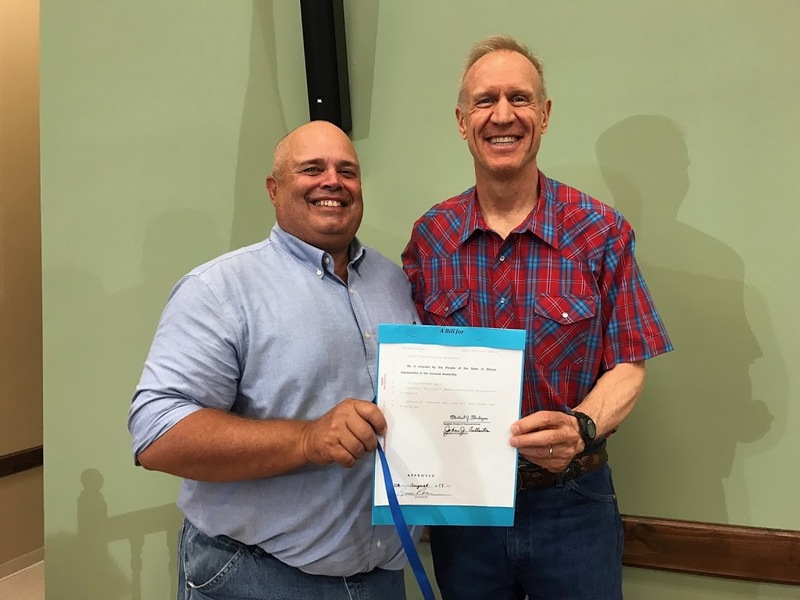 Governor Rauner signed Rep. Dan Swanson’s first bill at Agriculture Day at the Illinois State Fair in Springfield last Tuesday. In recognition of Agriculture Day, Governor Rauner signed 10 agriculture related pieces of legislation. One of those signed was Rep. Swanson’s first bill signed into law, House Bill 3188. “Governor Rauner asked his Directors to help reduce legislation that limits businesses or creates extra burdens and red tape. My bill repeals the David A. Wirsing Food Animal Institute Act, which was created but never implemented,” said Rep. Swanson. The Institute’s enabling legislation went into effect on August 6, 2004, but it was never implemented. A small number of appointments were made to the Board, but it has never been fully appointed. Swanson’s legislation overwhelmingly passed both the House and Senate this Spring, with little opposition.